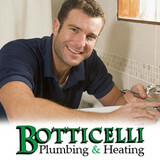 At Botticelli Plumbing & Heating, we pride our company on reliability, great communication, integrity and quality work. We strongly believe in giving our absolute best in all the work we perform. We are experts and will always keep you educated about the work process. We offer 24hr. services and maintenance plan , We look forward to earning your business. The major problem with creosote is that it is highly inflammable. Its accumulation on the flue walls increases the risk of house fire considerable. In fact, thousands of house fires are caused by creosote build-ups in chimneys every year. Fire is one of the most serious perils which can affect a home. It poses extreme danger to people and property. Another problem with fire starting due to the combustion of creosote is that this substance is toxic and can cause serious irritation to the skin and eyes and possibly mental confusion. It is more cost-efficient to hire a professional HVAC technician for the cleaning and maintenance of the air vents and shafts than to go for DIY care or have a non-professional do it. In fact, you will generate savings on a range of costs. 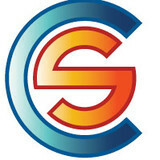 As explained earlier, the specialist service will help you to save on both utilities, repair and replacement. These savings can be considerable for any household and especially for a business which uses a large and complex system for heating, ventilation and air conditioning. The Chimney Safety Institute of America recommends cleaning up fire places if there is a soot buildup of 0.125 inches thickness inside the flue system and the chimney. Also, if one can see any glaze inside the flue, it should be immediately cleaned even if it’s thickness is less than 0.125 inches. In simple words, chimney cleaning should be done whenever there is enough accumulation of creosote and soot that can lead to a chimney fire. Also, the furnace flue systems need to be cleaned on a regular basis. County Wide Mechanical Services has been serving Connecticut’s home owners and businesses since 2007. We serve the entire State of Connecticut with quality air conditioning, heating, and plumbing solutions from our headquarters in Bristol. 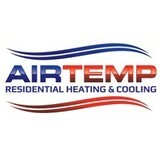 We are one of the fastest growing HVAC companies in the northeast and the largest providers of residential and commercial HVAC and plumbing services in Central Connecticut. 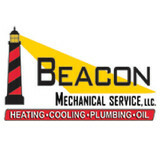 Our technicians are state licensed and Nate Certified. We install, repair, replace, and maintain heating, air conditioning and plumbing systems to meet your budget. Our technicians are trained and experts at most any make or model of HVAC and plumbing installations. We are available for all your needs 24-hours a day for emergency repairs. We have an A+ Rating with the Better Business Bureau (BBB) and excellent reviews in Google, Yelp!, Home Advisor, and Facebook. But don’t just take our word for it, check it out yourself! At Flg® Faucet, Leading World-Class Quality,Create Fashion Style Sanitary Ware for Your Home. Comfortable life new experience,trust FLG,trust Quality.